If you are an Apple Fan like me then I am sure you might have desperately waited for the existence of iPad Mini and for sure you would be waiting for the arrival of iPad Mini in India. Well friends and my dear readers, the long wait is like to be shortened as the Apple iPad Mini is all set for pre order at eBay India. 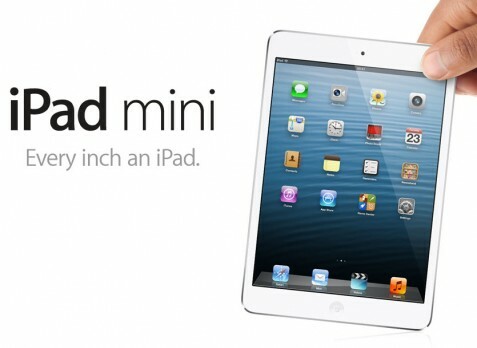 The price of iPad Mini announced in India by the online retails ebay came out to be Rs. 28990. The 7.9 inches iPad Mini is costing Rs. 28990 for the WIFI only version along with 16Gb and would be available in Black or White. The pre order of the iPad Mini will be shipped from November 12, as per the words from eBay. The devices will be imported directly from Apple USA and hence there will be no buyer’s manufacturer warranty in India. Well this price seems higher as compared to the price available in US, this could be because the device is not officially been announced in India. The price is expected to be in the range of Rs. 18000 to 22000 when it will be officially announced for Indian Market. However if you want to spread the charisma of iPad Mini before the official arrival in Indian Market then you can check out the iPad Mini listing on eBay. TwinsMatcher iPhone/iPad Game Review – Loads of Features With New Version!